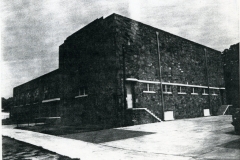 Measuring 160 feet by 76 feet, the Valliant gym and auditorium is a single story structure with high ceilings constructed of undressed and uncoursed native stone of different colors. The masonry is of excellent quality. The roof ranges from flat to arched with parapets. Pilasters, friezes of different colored stone and continuous concrete lintels decorate the exterior walls. Windows are metal casements; panes are painted to reduce light. Three double, recessed doors provide frontal entry. Roof extensions, vertical lines, and porch covers of concrete, suggest an art deco influence. 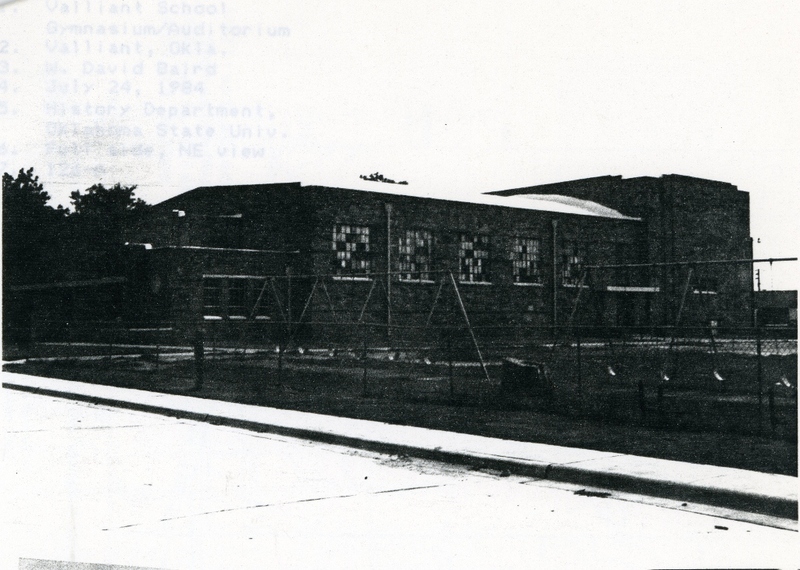 Because it provided space for school and community activities, especially basketball, which fostered a sense of identity and pride not widely known in the region beforehand, the gym/auditorium is particularly significant. A substantial stage permitted performance of dramatic productions. 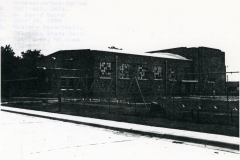 Construction of it also provided work opportunities for unemployed timber product laborers in the Valliant area that had been hit hard by the depression. 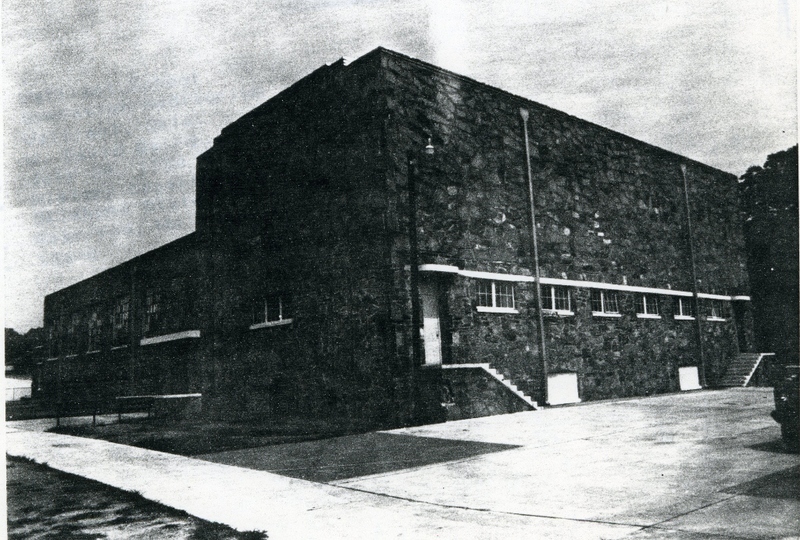 As a WPA gymnasium, the structure is notable for its distinct reference to art deco style–the clearest allusion of any gym in southeastern Oklahoma. Within the community it is unique architecturally because of its type, style, scale, materials and workmanship. VERBAL BO UN DARY DESCRIPTION: The property begins at the NW corner of “High School Tract,” and runs east 200 feet, south 100 feet, west 200 feet, and north 100, all in the High School Addition to Valliant original plat.